Last night most of us slept peacefully in our beds, but ninety-five years ago a fierce and bloody battle was raging in France. That night Australia suffered a truly terrible loss of its young men akin to that at Gallipoli. Among the Australians readying for action on the evening of 19 July 1916 were my grandfather’s cousin, 30-year old, Lance Corporal James Gavin of the 31stBattalion and Lieutenant Colonel Walter Edmund Hutchinson Cass (54th Battalion), my husband’s grandfather’s brother (ie his great-uncle). Before the night was over James Augustus Gavin would be dead and Walter Cass would be emotionally damaged by all he’d seen, despite being a professional soldier and survivor of Gallipoli. 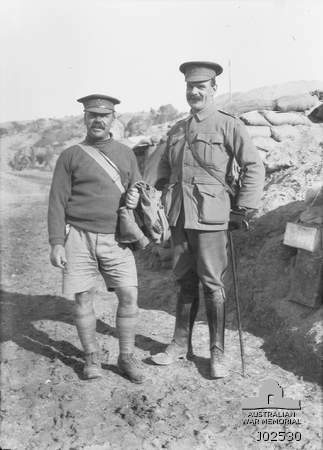 Capt Dexter (left) and Lt Col WEH Cass (right) at Gallipoli. Photo J02530 from Australian War Memorial no longer in copyright. Walter Cass looks remarkably like my brother-in-law in this photo (or vice versa). James Augustus Gavin was 29 years and 3 months and a stockman when he enlisted on 9 July 1915. He was 5 feet 11 inches with a dark complexion, gray eyes and dark hair. He was the son of James Gavin and Mary Elizabeth Drift and was born at Jondaryan on the Darling Downs on 20 March 1886. Five of their sons, including James, joined up and served in World War I, along with four of the boys’ cousins from the Kunkel family. Four of the younger cousins (Stephen & Patrick Gavin and John & Ken Kunkel) travelled together to Europe on the same ship the Port Sydney in 1917. 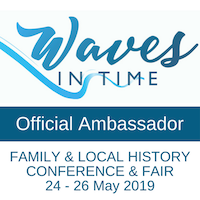 This family seemed to have good networks with the newspapers and snippets would regularly appear in The Toowoomba Chronicle or the Darling Downs Gazette. 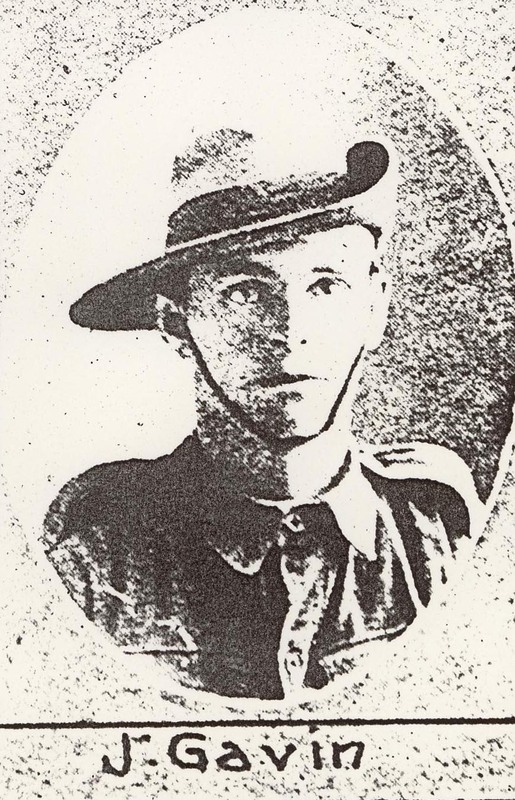 Enlistment photo of Photograph of James Gavin in The Queenslander of 2 October 1915, page 24. Disembarking in Marseilles only a month earlier, Fromelles was to be James’s first and last battle: his service record lists him as “Killed in action” in the field, France. His family was perhaps fortunate that his body was recovered unlike many in massed graves whose names are only now being identified through DNA. James Gavin was buried in the Rue Petillon cemetery by Rev James Green, a Methodist chaplain attached to the 14th Brigade (of which Cass was part). Although coming from a staunchly Catholic family it’s likely his parents would have been grateful that his interment was prayerful and blessed. Trove has again revealed the news in The Brisbane Courier 12 August 1916, page 7: CROW’S NEST, August 11. Cablegrams have been received through the Defence Department stating that Private Eddy Richardson, of Glenaven, was killed in France on July 6, and Private James Gavin, of Pechey, near Crow’s Nest, was also killed. Both lads were well known and most popular in the district. The late Private Gavin was one of three brothers who enlisted. 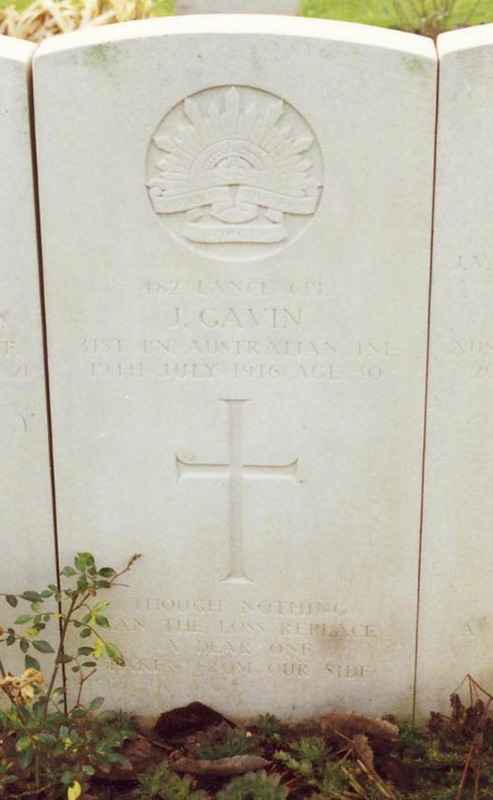 L/Cpl James Gavin's gravestone in Rue Petillon cemetery: the family's inscription can be read. And died in bringing her to fame. Even this exceeded the army’s limit so “rest in peace” was removed and the final inscription resolved. The location of James Gavin's grave in Rue Petillon cemetery November 1992. 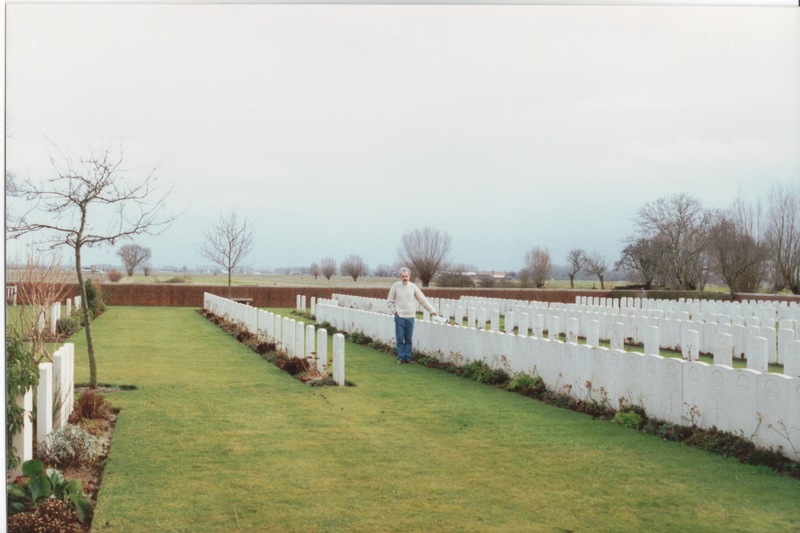 In November 1992 my husband and I made a pilgrimage to see the graves of the two family members killed on the Western Front: James Gavin at Fleurbaix and James Paterson remembered on the Villers Brettoneux memorial. James Gavin’s grave is situated in the Rue Petillon cemetery (formerly called Eaton Hall cemetery) amidst tranquil rural French farms. A farmer passing by nodded as we looked through the cemetery, perhaps an informal acknowledgement of the Australian contribution. Although the location is now so peaceful, the glutinous dirt in the adjacent fields provided an insight into the horrendous conditions the soldiers fought through in many battles. I don’t know whether any of his direct family have had the opportunity to visit his grave but it was a privilege for us to remember him in this way. 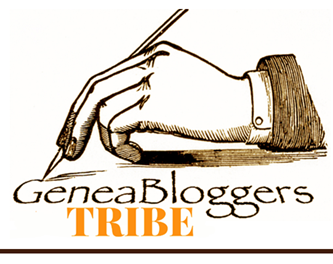 James had left his meagre possessions to his sister in a basic army will. When returned to Australia via the Beltana in 1917, his belongings were his identity disc, wallet, photo, metal wrist watch and strap, and a religious book. His mother seemed to be under the impression it had been sent to her as she mentions “a mother is always anxious to fit (?) any little token to remind them of the lost one”. 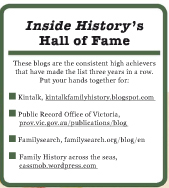 Similarly the family had to follow up the medals which had been issued to James posthumously: the Victory Medal, the 1914-15 Star and the British War medal. 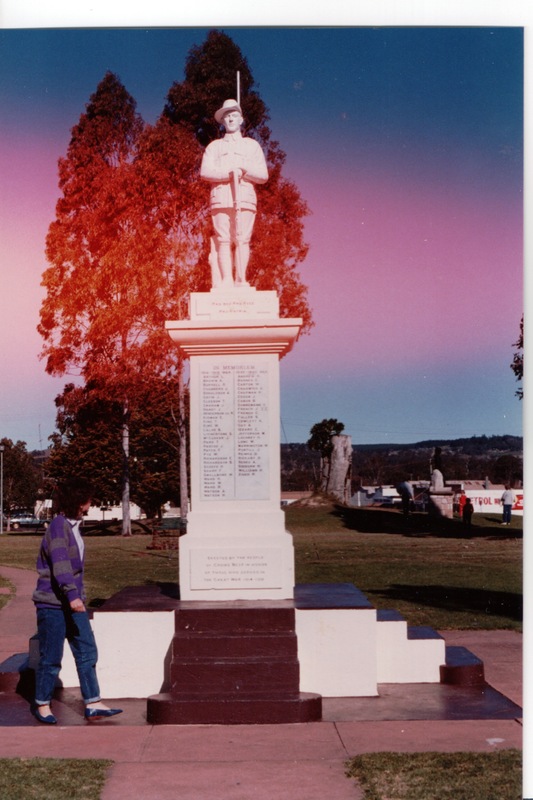 James and his brothers are remembered on the Crows Nest memorial in Queensland. Like many other World War I soldiers from Queensland, his photo was included among those in The Queenslander newspaper (John Oxley library now has an index of these but I don’t believe it’s online). For many years the Battle of Fromelles was comparatively unknown by the Australian public, perhaps seen as a defeat because of the necessary withdrawal, however over the past twenty or so years I’ve seen it gain a higher profile. Now that DNA is being used to identify the bodies of Australian soldiers in massed graves and they are being laid to rest, it is gaining its rightful place in Australia’s ANZAC history. Anyone with an interest in this battle will gain many insights from Corfield’s book Don’t forget me, cobber with its warts and all analysis. In Memoriam: Crows Nest Memorial to those who gave their lives in World War I.
great uncle George brought back in 1919 of the Shellal Mosaic. I have a War Relatives medal as displayed on the AWM website of the WW1 badge and four bars for the five brothers also- presented to my great grandmother on the Prince of Wales visit to Toowoomba in 1920.” Louise if you’re out there please get in touch, I’d love to make contact and hear more from your side of the family. I have a large group photo which I suspect includes Gavin family members but I can’t identify them though my grandfather, Denis Kunkel, is one of the people in the image. As the stars are known to the night. [i]From his book, The Gallant Company 1933, referenced in Don’t Forget Me Cobber, page 127. [ii] Australian War Memorial, War Diary 31st Battalion, 8th Brigade, Appendix D, page 9. [iii] R S Corfield, Don’t forget me Cobber: the Battle of Fromelles 19/20 July 1916: An Inquiry, page 361. [iv] Darling Downs Gazette 15 August 1916, page 4, column 6.